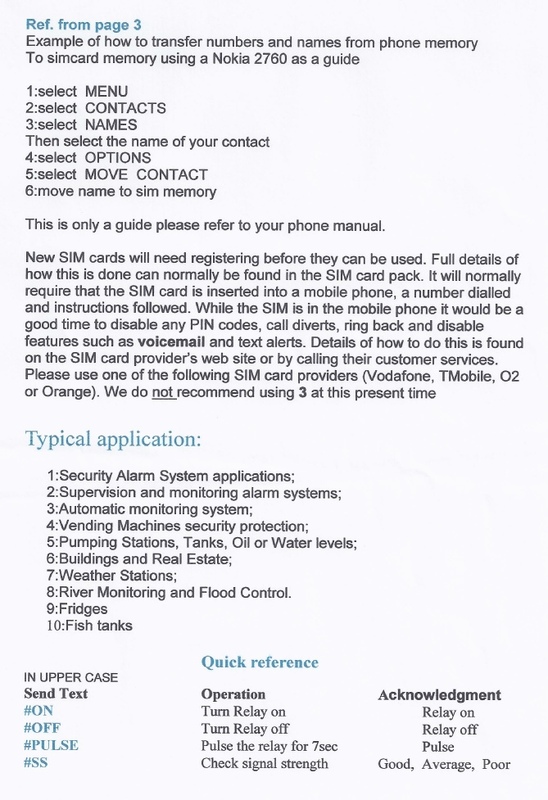 The BOAT ALARM & DIALLER is straightforward to install, BUT PLEASE TAKE A COUPLE OF MINUTES TO READ THESE INSTRUCTIONS ! Control box with integral re-chargeable lead acid battery, inverter/charger, alarm and dialler PCBs. 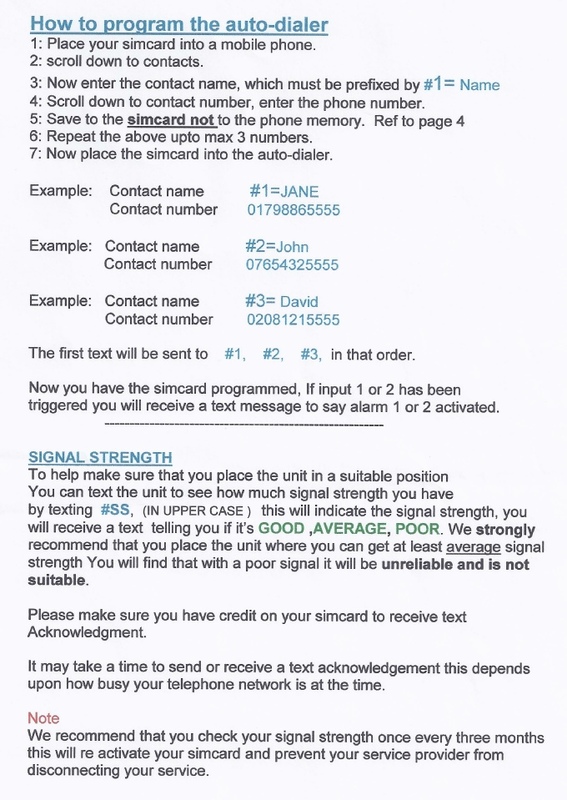 The control box can be disconnected after installation for testing or fault finding. It can be mounted in any convenient location where connections can be made easily. Where possible use the aerial on the flying lead to obtain the best performance from the dialler. Splash proof siren This can be mounted anywhere where it is hidden and difficult for a thief to get at. Position the siren so the sound can be heard outside the boat. Once its location has been decided screw the control box in place. Connections are made using the rising clamp terminal blocks on the terminal board. The terminal blocks are fitted with wire protectors so it is not necessary to use ferrules. These should be fitted to doors, windows and/or lockers that require protection. The switch is fitted to the frame and the magnet to the door. It is recommended that they are fitted as high as practical and on the hinge side of the door or locker. 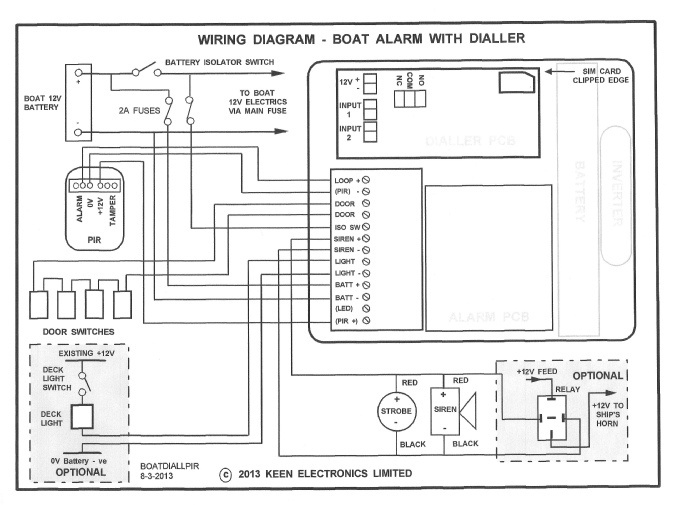 The switches are connected in series as shown in the wiring diagram. Do not over tighten the fixing screws. 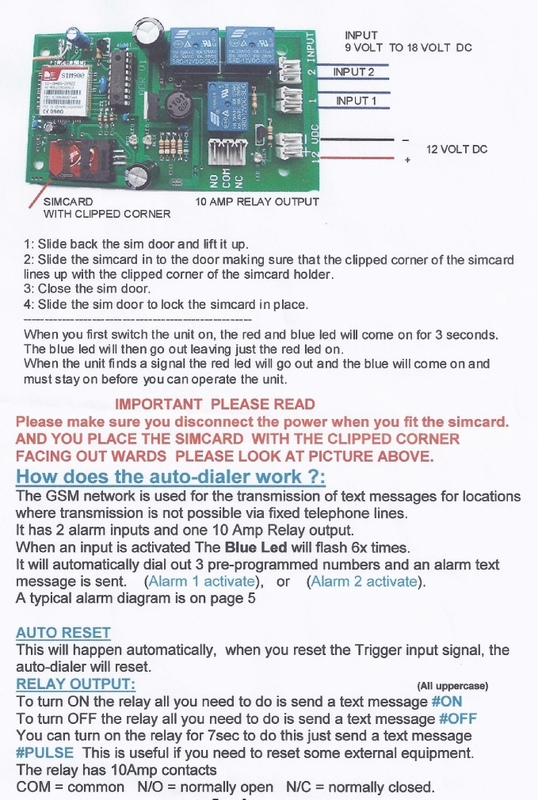 Find a convenient point to connect to the battery isolator switch. Fit a 2 Ampere in line fuse close to the battery isolator switch.